President Barack Obama has nominated Merrick Garland for U.S. Supreme Court justice. Garland has served as a federal appeals court judge for nearly two decades. 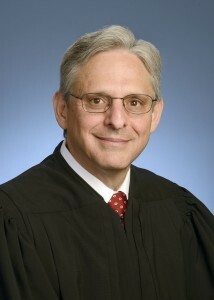 If confirmed by the U.S. Senate, Garland would replace conservative justice Antonin Scalia, who died last month. The nomination faces a defiant Senate, where Republicans have vowed to disapprove Obama’s nominees for U.S. Supreme Court justice. West central Missouri Congresswoman Vicky Hartzler is among many Republicans hoping to stall the process until after the presidential election, in hopes that a Republican president will choose a conservative justice. In a statement today from U.S. Senator Roy Blunt (R-Missouri) he said he will not vote in favor of Obama’s nominee. U.S. Senator Claire McCaskill (D-Missouri) said the appointment should not be political and the vacancy needs to be filled. Four of the court’s justices were nominated by Republican presidents: Anthony Kennedy (Reagan), Clarence Thomas (George H.W. Bush), Chief Justice John Roberts and Samuel Alito (George W. Bush). President Bill Clinton nominated Ruth Bader Ginsburg and Stephen Breyer, and Obama nominated Sonia Sotomayor and Elena Kagan.